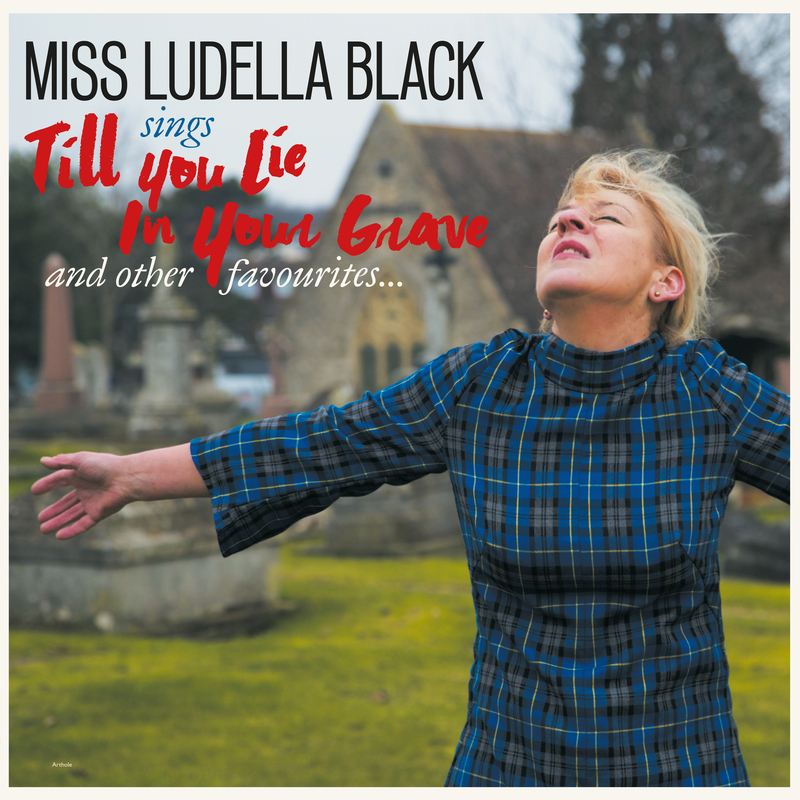 Back with brand new LP Till You Lie In Your Grave, her follow up to 2008's From This Witness Stand. BACK WITH A NEW LP! FEATURING THE MASONICS! 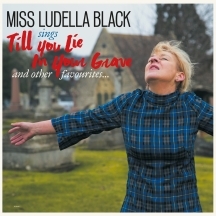 Miss Ludella Black is back with brand new LP Till You Lie In Your Grave, her follow up to 2008's From This Witness Stand. Yes, 10 long years but well worth the wait! Here's some words from the lady herself - "How nice it is to once again say a big hello my darlings and to invite you to partake in my latest musical feast of succulent delights. Whatever your tastes, I hope your appetite will be fully satisfied by these 14 new dishes arranged before you here. Nothing would give me more pleasure than to know that you enjoyed experiencing them as much as I did creating them for you. Upon this smorgasbord of emotive offerings, your lugholes will surely be drawn to notice the unmistakable hint of Masonic. This piquant ingredient includes John's stirring bass lines, Mickey's drizzling guitar and Bruce's pounding drums (and other spicy additions) all mixed together into a heady blend of rhythm and beat, beautifully crafted and prepared.Here it is, garnished, ready to be consumed and devoured. So sit up straight--elbows off the table please--till we meet again." "Of all the creatures, man alone has ears on his stomach."